There are not many men left who actually saw combat in WWII, especially those who participated in some of the more well-known battles. 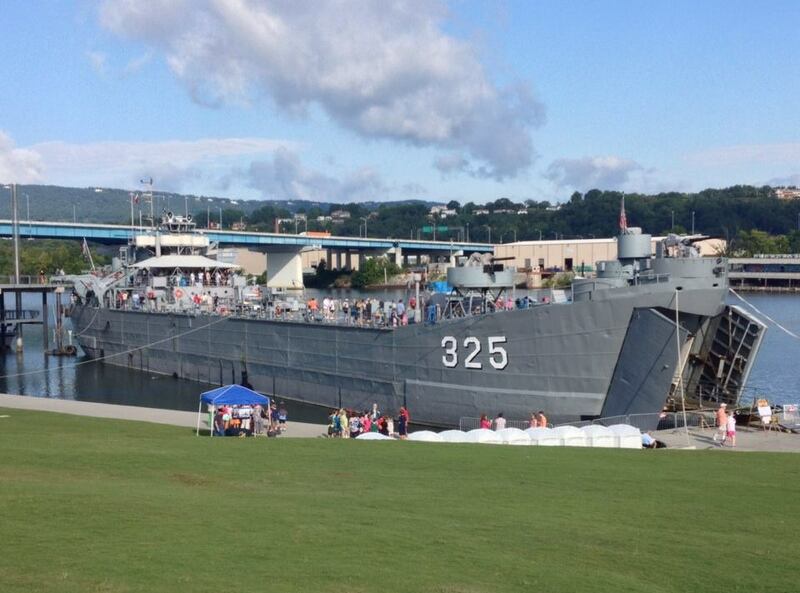 Many were transported to the beaches by an LST, much like the one which is visiting for a few days in Chattanooga (it leaves 9/18). When I went down to the river to take a picture of LST 325, the last of its kind, it wasn’t hard to spot the older veterans. If they weren’t walking slowly, supported by a walking stick, they were riding in wheelchairs, or holding on to a younger loved one’s arm. Each of them, no matter what age, exhibited a nostalgic look, one that hinted at a smile, yet betrayed a sense of loss and pain. 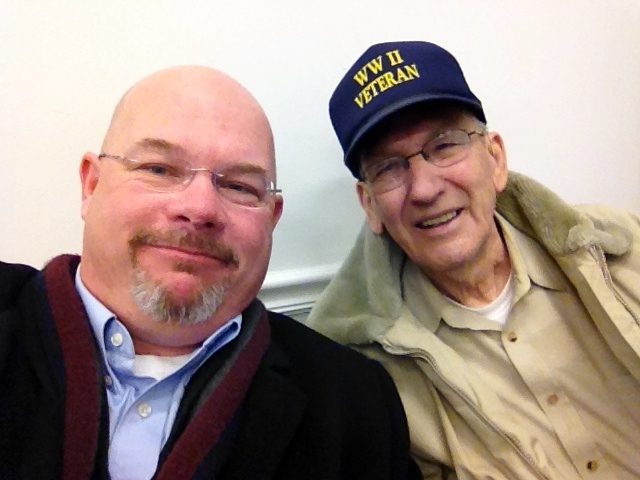 Well, yesterday, after attending an executive board meeting with our local Baptist association, I got to meet an extraordinary veteran who actually rode one of those LST’s to the beaches of Iwo Jima to fight the Japanese, Mr. Paul George. Mr. George, like so many others, risked his life not only to preserve our freedoms, but to liberate others. Fortunately, he survived; many others did not. 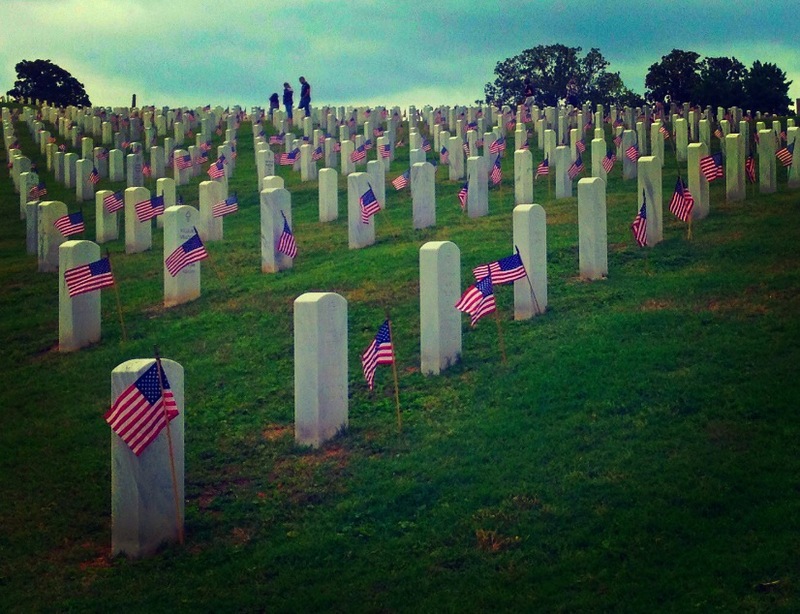 To all of them we owe an incalculable debt. But here’s the thing: odds are none of us are going to make it out of this life alive. And as a matter of fact, some of our loved ones have already gone on home and are now waiting for our tour of duty to end. I believe that’s what Mr. George was sorta getting at when he wrote the following note to be sent to his friends and loved ones, those who were concerned about him after his wife’s departure. “Just a note to let you know that I am doing quite well even though Martha left me June 17, 2013 (eight days short of our 70th anniversary) to be with Jesus. I do miss her but I know she is much better off and is waiting for me. They call men like Mr. George “the greatest generation.” This is just one more reason why. God bless you, dear brother, for your desire has been granted: you certainly are a witness of God’s grace. Have you ever gotten a flu shot (vaccine)? I got one, yesterday. So far I have not come down with any complications, only a slightly sore shoulder. Will I die? Eventually, I suppose, but probably not from the vaccine. I have had other vaccines, too. I’ve been vaccinated against polio, the mumps, whooping cough, tetanus, and many more I can’t think of right now. What would our world be like had there never been any? Scary to think about, isn’t it? However, there is a disease which sadly affects billions of people worldwide, causing pain, suffering, and even death, for which there IS a vaccine, but few will accept it. Like other vaccines, including the flu shot I received, there are a lot of people who think the vaccine is dangerous and can cause more harm than good, so they are very vocal in their opposition. Their opposition, which includes statistics, testimonials, and even mockery causes many to turn away from much needed relief. What is the vaccine? Taken in any amount, the book of Proverbs (in the Bible) is capable of rooting out and eliminating the stupidity virus. And here’s the best part – NO needles! But while I was at the pharmacy, I saw an old man wearing a hat that said, “WWII Veteran”. 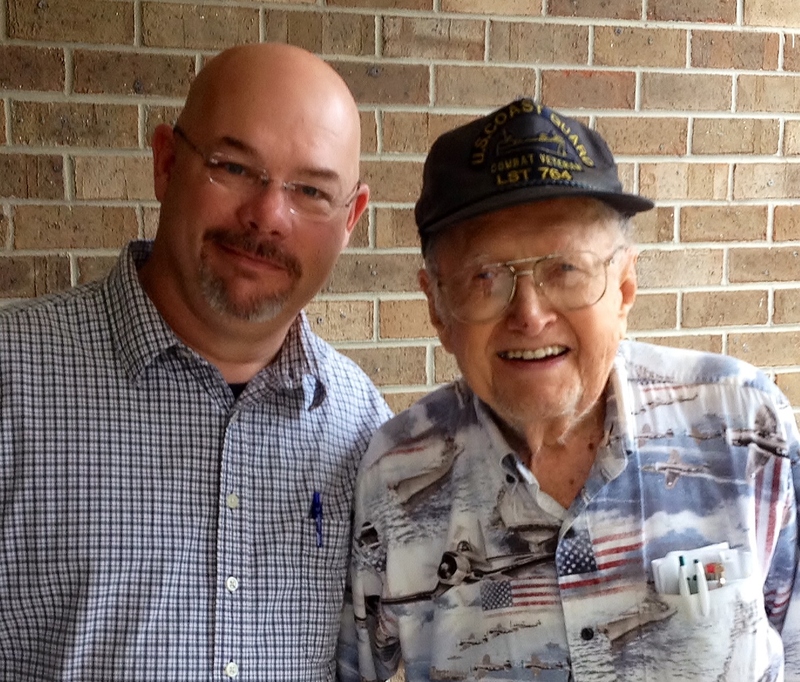 I decided to talk with him, to find out a little about him, and to thank him for his service. George Palmer was his name. He joined the Navy in 1940 when he was 18. His first duty station was aboard the USS Texas, which is currently the last surviving battleship from the super dreadnought days of WWI. He was on the Texas when the War broke out and told me how he remembered being called to battle stations when the news of the attack on Pearl Harbor came. No, Mr. Palmer, it’s men like you that are amazing. Thank you for your service. Aside from needles, and getting too close to Miley Cyrus, my fear is that the world is creeping closer and closer to another conflict, but without the men and women of “the greatest generation” to bail us out. We used to be a nation with a moral compass that set our course of action. Now we are a pluralistic, even godless nation with no sense of purpose, no sense of right and wrong, and no moral basis on which to stand against Tyranny in any form. My fear is that the last of the vaccinated generation will soon be gone, and then the virus will consume us all. God help us.